Register to 1 monthly unlimited texts to all networks for 300 pesos only from Talk N Text. 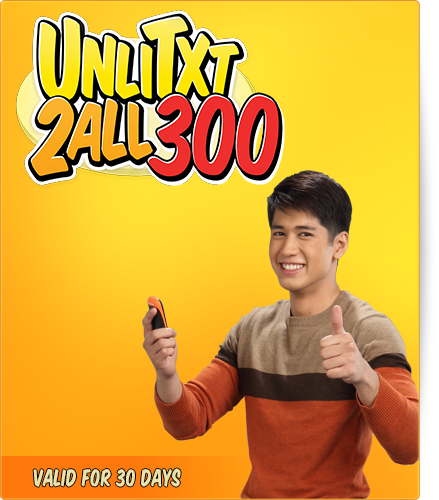 If you want a non-stop texting to Globe, Smart, Sun Cellular and TM, UA300 or UNLITXT2ALL300 is the right promo for you to subscribe. For registration you only need to send the code one-time then your good to enjoy texting for 30 days. This is a very affordable which only cost you 10 pesos per day to get unlitext to all networks. You don’t need to worry on texting your friends and love ones whatever network they are in when using UA300. As of April 2016, this promo is now loaded with more. They now added free 300 minutes of call to TNT, Smart and Sun Cellular. If you can’t live without accessing your social media pages, this UA300 now lets you browse your Facebook, Viber, Twitter, Clash of Clans (COC) and Dubsmash of up to 30MB per day. All of those new services added with no extra cost make it more value for your money. This promo is also available in for 2 days all net texts for only 20 pesos. To register UA20 just text the keyword or code provided. Pero kase 5hours free call yang sa Talk N Text. Sa smart 3hours lang yata ng Mega250 nila. Can someone help with what plan to get. Monthly, unlimited calls and text to any network plus 3 GB of data.